Kulas Maids offers you a free estimate to help you decide that our residential and commercial cleaning services in Evanston are the best in the business. Servicing the Chicago North Suburbs for over 35 years, we are proud to say thank you to our committed customers. 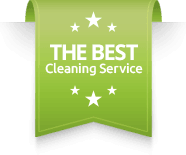 Because customer satisfaction is our primary goal, we guarantee that you will be very happy with our cleaning service in Evanston, IL 60201. Evanston, Illinois residents are always looking for the finest services available and that is why they call Kulas Maids for their house cleaning. They know that our house cleaning service in Evanston will clean beyond their expectations. Kulas Maids offers two types of services designed to care for your home—our standard services and our extended services. Click on the Services Tab above for more information! With Kulas Maids, you are getting a highly skilled team of 4 maids to make your home sparkle. Kulas Maids proudly offers experienced maids, work efficiency, and proper supplies and equipment. These are the reasons why Evanston residents chose Kulas Maids Inc. as their maid service. Each of our maids goes through an extensive training program which guarantees that they are totally prepared to clean and refresh every detail of your home. However, if you require the use of special cleaning products, we will gladly use whatever supplies you provide. Just let us know!